At Inner Power Yoga, we recently held an Introduction to Meditation Workshop which had filled long before the date, a sign that more and more of us are interested in developing and maintaining this challenging yet potentially life changing practice. Lately it seems like meditation is everywhere, or am I just more aware?! You can see so many relevant postings on Facebook, Twitter, and with new books coming out and studies being published on this subject. One of the main reasons so many of us take the time to meditate is to feel more balanced in life. It’s easy to get overwhelmed by our many responsibilities in life, by all the roles we play, and by the feeling that we get pulled too hard in one too many direction. If you think you are too busy to sit for five minutes a day….. then you probably need ten minutes! Don’t wait until you feel like you are sleepwalking most of the time or being on automatic pilot going from one task to another. Try to wake up a few minutes earlier in the morning or close your door after lunch to tap into the silence and stillness within. There is no bad way or bad time to meditate, give it a try for 21 days and you will notice a difference in how your days are unfolding. As always, if you have any questions or would like more guidance, please let us know! Our next session will start soon! Please register early, space is limited! Reserve your spot by emailing Ursula or calling the studio at 703-795-8400. We are pleased to offer a 6 week session geared to the wonderful school teachers in the community. The class will be a gentle flow in the middle of the week, suitable for beginners. This session is our way to say thank you to all the people who are educating the next generation. Please email Ursula to register for this session. We love having you in our studio, and we hope you feel the same. 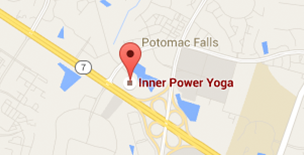 Please visit Northern Virginia Magazine’s “Best Of” section to vote for Inner Power Yoga! It only takes a moment to register, and we would very much appreciate your support of our studio. Tiffany will be teaching the Tuesday 12 noon and Mariana the Sunday 9:30 am class. As of 3/11, the Friday 9:30 am class will be Ashtanga. IPY Favorite of the Month! Thank you so much for all who came to our One Year Anniversary Party, we loved celebrating our First Birthday with you! And last but most certainly not least! We are so very proud of our graduating IPY Teachers Trainees! You are all very unique and have so much to offer! Be a guiding light as you spread your passion and love of yoga!